Rep. Omar, a survivor of war, is one of the most effective voices right now at cutting through the authoritarian foreign policy tendencies of this administration, tweeted Ocasio-Cortez. She linked back to a post that the Minnesota lawmaker put up earlier in the evening, criticizing President Trumps handling of the crisis in Venezuela. Trump and Elliott Abrams cannot be trusted to tell the truth about whats happening in Venezuela, Omar tweeted, along with a link to a New York Times story questioning the circumstances behind an alleged attack on a Venezuelan relief convoy. We must continue to question the narratives they provide and promote dialogue instead of intervention, Omar added. Oh she’s effective all right. America-haters got to stick together. So she is antisemitic too. Well we knew that anyway, this is just more confirmation. This has to be putting the Jewish senators (don’t think there are any Rs among them) in an uncomfortable situation. Their party is being shown as the REAL party of HATE and Jews are at the top of the list. Soon we will hear how they secretly control America. 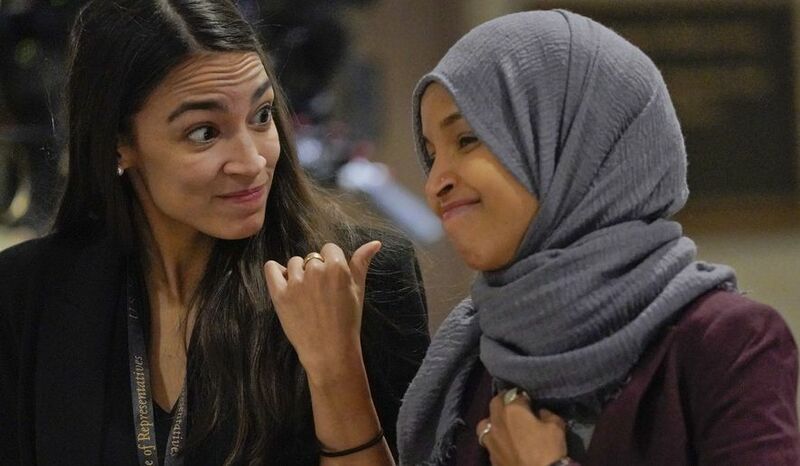 Domestic enemies in the People’s House. Please wake me from this nightmare. Just for Sh!ts & Giggles what is the going over/under on these two and Talib also. Will they be a factor/voice/presence 6 months from now? The marxists and communists always side with the muslims just like hitler did. New haters have to stay together. Soon to be joined by David Duke. Aka, the Moron & the Muckscum. 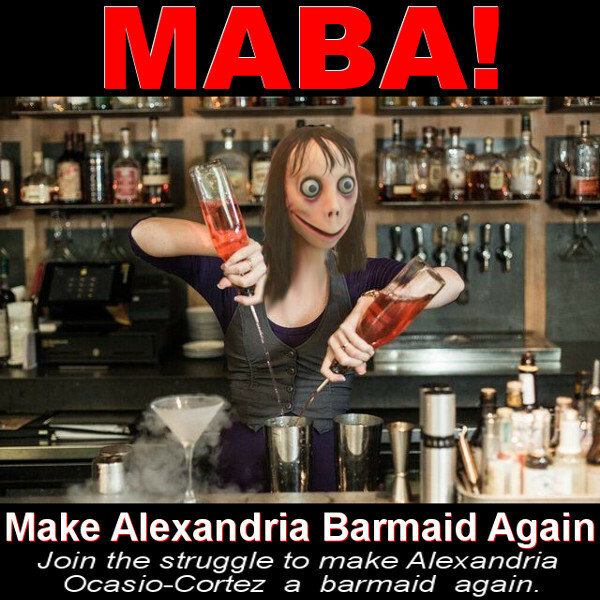 Im pretty sure that Alexandria is just an escaped audio-animatronic from The Echanted Tiki Room at Walt Disney World. Keep it up, ladies, please just keep it up.